Black wire mesh display baskets are a great way to display candy to smaller items. 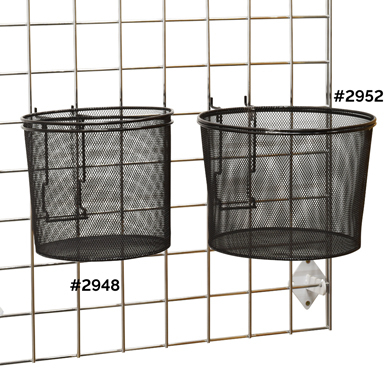 The Wire baskets are available in two sizes: 9 in. or 11 in. diameter. 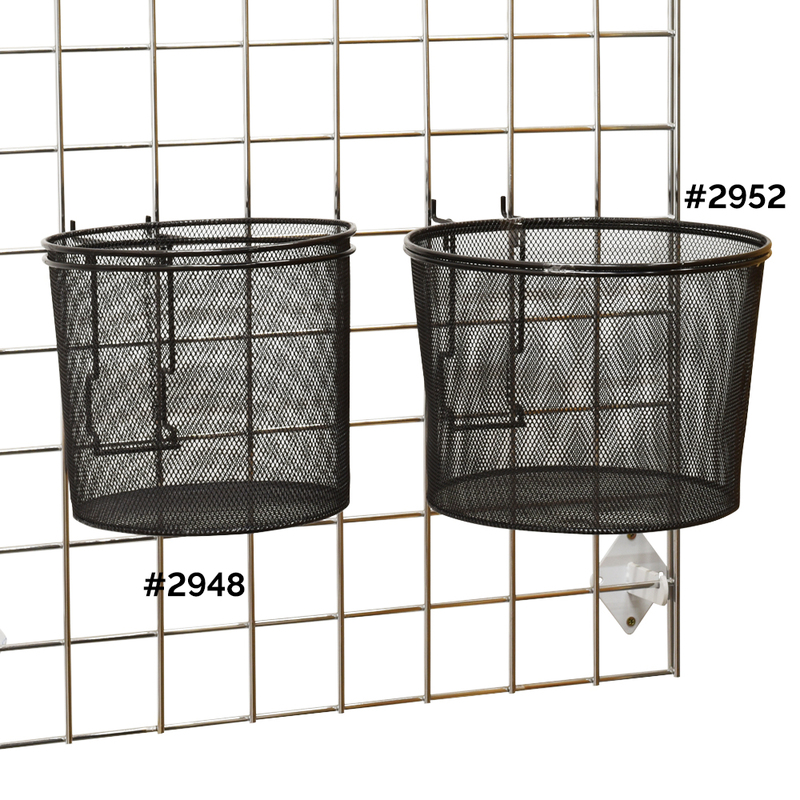 The steel mesh baskets can be used on grid wall panels or displays.